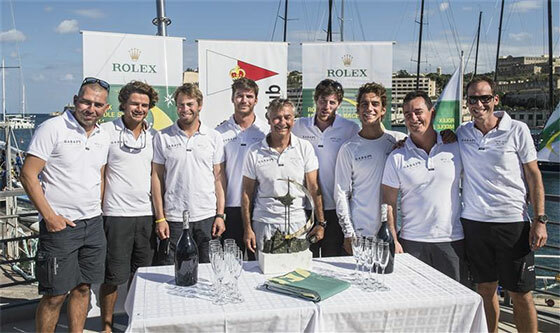 Artie confirmed as overall winner of the 2014 Rolex Middle Sea Race. "It hasn't really sunk in yet." Smiled Lee Satariano. "But now having had the opportunity to reflect on the race, even more important than winning was the achievement of actually finishing the race in the conditions that we had out there. Even near the end my worry was not finishing, right up until the end, we knew boats were in difficulties, which was very unfortunate and that was playing on my mind until we crossed the finish line. I would like to emphasise that one thing we really promote on Artie, throughout the year, is that we have young dinghy sailors on board and a main objective is to get these youngsters out sailing, combining them with our regular crew to create the future sailors that will be representing Malta."